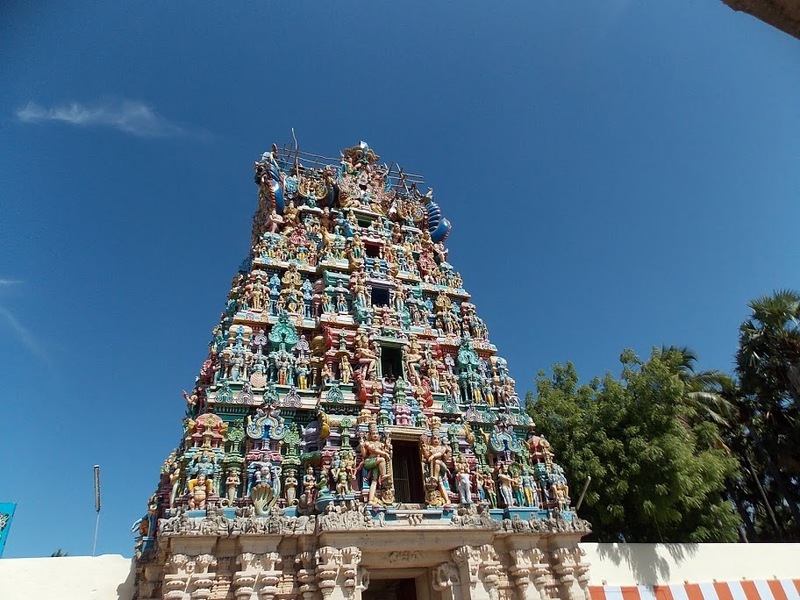 ThiruVaragunamangai Permual Temple is one of the Nava Tirupathi., nine Hindu temples dedicated to Lord Vishnulocated in Tiruchendur-Tirunelveli route, Tamil Nadu, India in the banks of Thamiraparani river. All these 9 temples are classified as "Divya Desams", the 108 temples of Vishnu revered by the 12 poet saints, or Alwars. This sthalam explains about the sathyam, the right path to go and Dharmam. The Jwalaas (While the fire is burnt, the heat rays comes out of it) which comes out of fire will burn only the Adharma, but the Dharma, the sathyam. Seetha devi after getting into the fire, she came out as the same way, she went into it. This is because of her purity. This also explains about the Characteristic of Agni. He will not do anything harm against the Sathya dharma people.Making this as the Sathyam as the primary things, there are lot of Jeevas living in this world. One of the example is Romasa Maharishi.He has lot of hairs (Romam) covered all along his body. He was given a varam like things that at the end of lives of all devars while he is loosing each and every hair in his body.This rishi explained to Brahma deva as how a creator should be and reduced his bad things, there by rooting the Sathya dharmam. 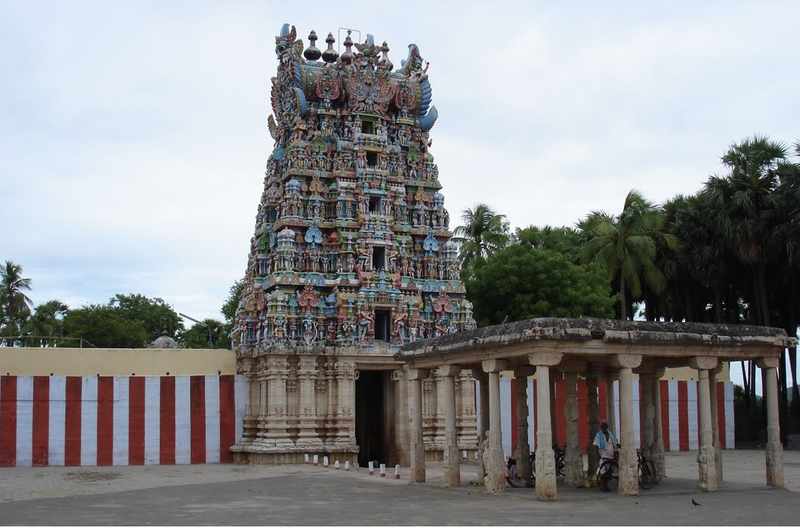 This sthalam is situated in Tirunelveli district, in Tamil Nadu. It is 1 1/2 miles away from Sri Vaikundam in East. We can easily go to this sthalam by asking as "Nattham. It is one of Alwars Nava tirupathi. A pious Brahmin Vedvith lived an upright life. He dutifully served his parents, he had great devotion and respect towards Guru and elders, and he performed rituals prescribed in the Sastra and Puranas. The most pleased Lord instructed Vedvith to undergo austerities in this sacred land Varagunamangai. Vedvith followed the divine instruction with utmost faith and devotion; he attained the blessings of Lord and attained Salvation in this holy land. 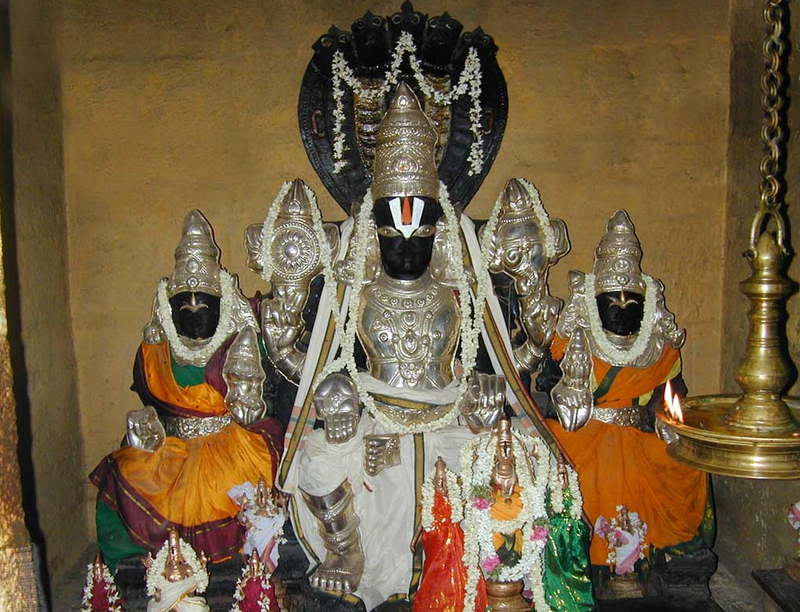 It is said that a Andanan, a poor brahmanan, named Vedavith worshipped this emperumaan and he showed his seva on top of this Vijayakodi Vimaanam as "Sathya Narayanan in Veetriruntha Kolam. 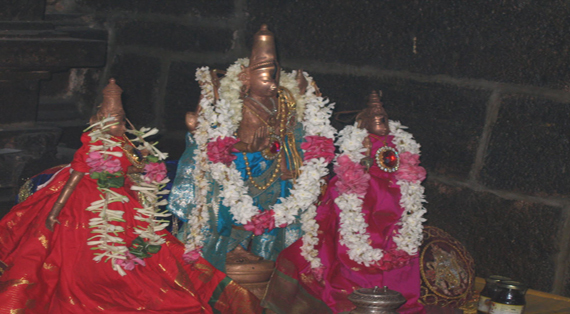 Pushkarani :Agni Theertham Deva pushkarani.